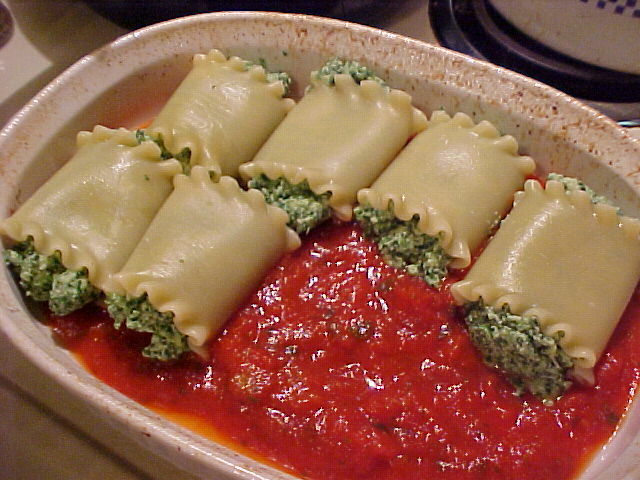 These roll-ups are tasty and easy to make and might be a way to introduce spinach with success! Here are all our ingredients. Brands do not make a big difference, use the brands you prefer. 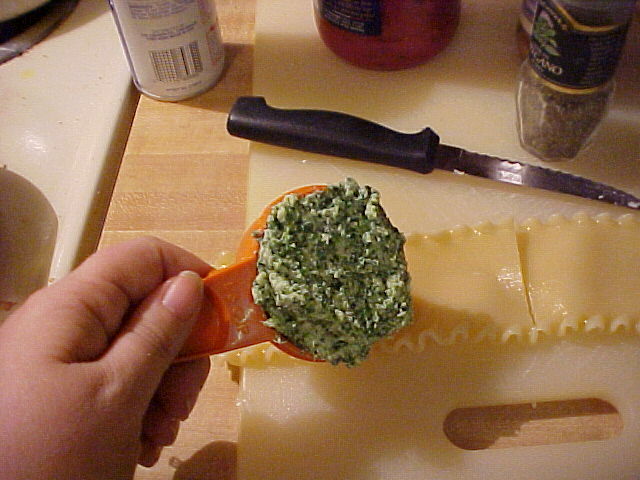 Be sure that you thaw and drain the spinach thoroughly and then squeeze out excess moisture. Also note that if you use dried basil and dried oregano, you will want to crush the leaves in your hands and rub them between your palms to release more of the flavors. 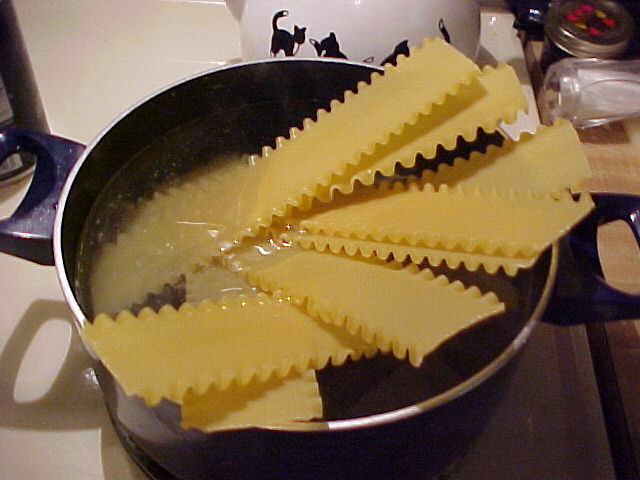 Boil your10 pasta noodles. Be sure to only use complete, unbroken ones with no cracks. 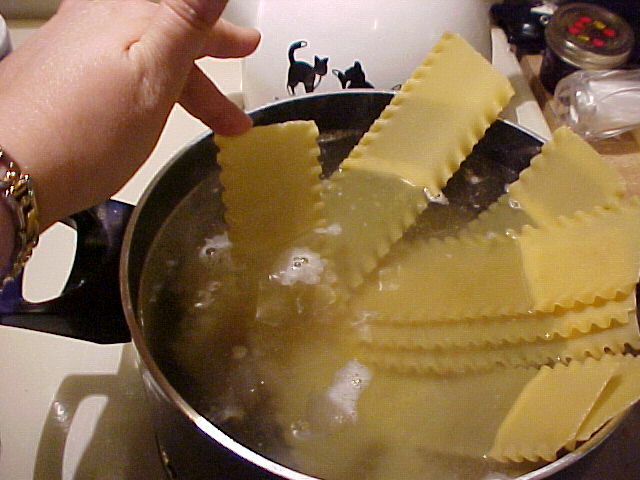 They won't initially all fit in your big pan, but stick them in the boiling water as far as they will go and then keep an eye on them. When they start to cook, you will be able to push them further into the water so they thoroughly cook. 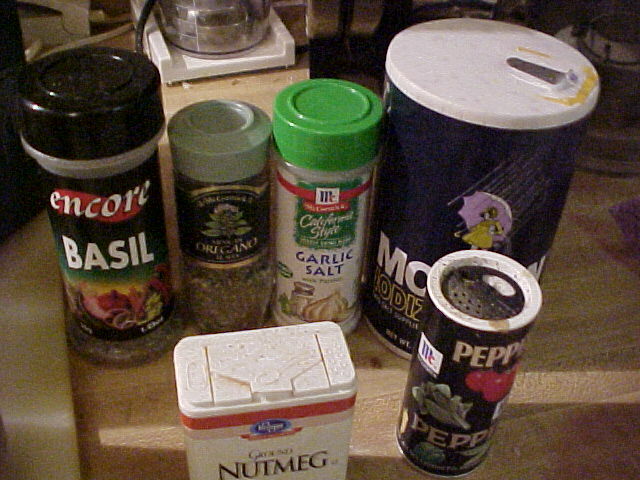 In a large mixing bowl or food processor, mix all of your filling ingredients. 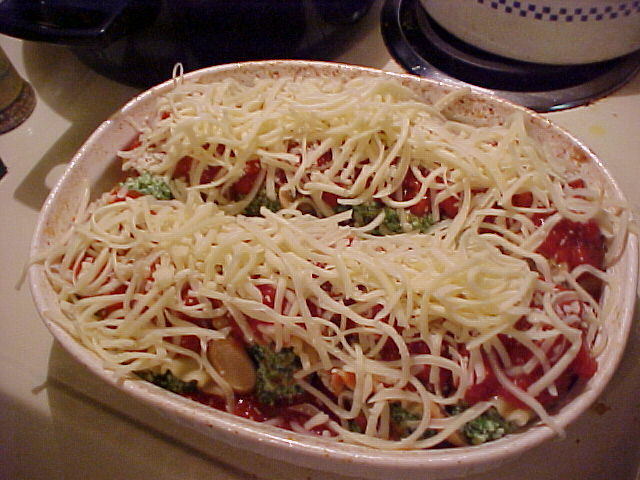 If you are using a food processor, be sure to grate the mozarella cheese first and set aside in a large bowl. 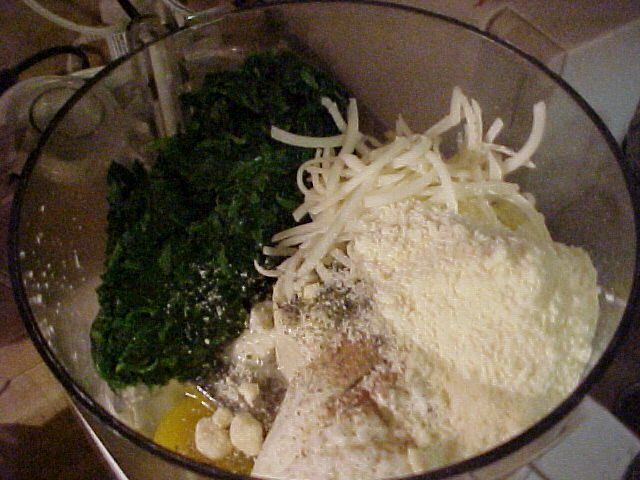 Add about 1/3 of your mozarella cheese into the spinach and cheese mixture. Reserve the rest for the topping. As in all my recipes, I will generally show you how to do it with a Cuisinart but do assure you that I have done these things without one! Feel free to dump these ingredients into a large mixing bowl and stir them up! Spray "Pam" or other cooking spray in a large, shallow baking dish. 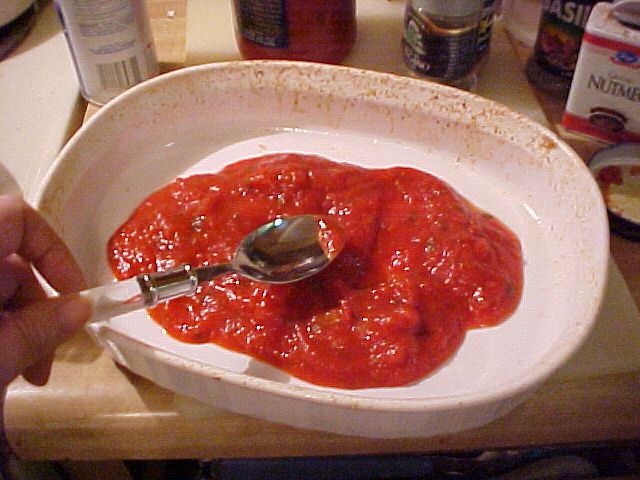 Spread a thin layer of your pasta sauce on the bottom of the dish. 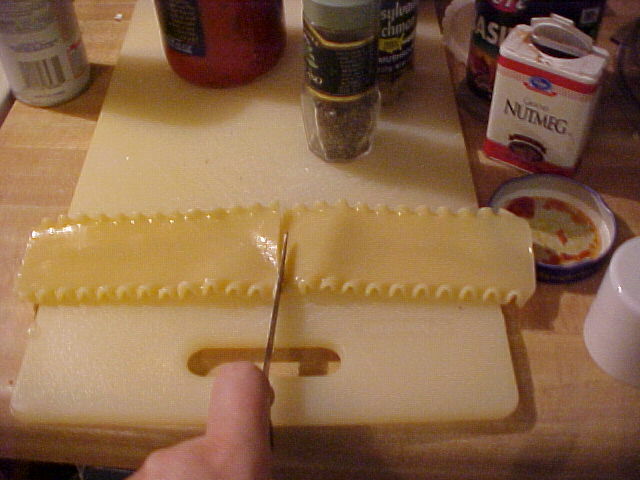 When noodles are tender, drain, rinse and cut each one in half. You will probably lose a few -- some may stick to the pan or each other. These instructions had you cook 10 noodles when you really will need only 7 or 8. 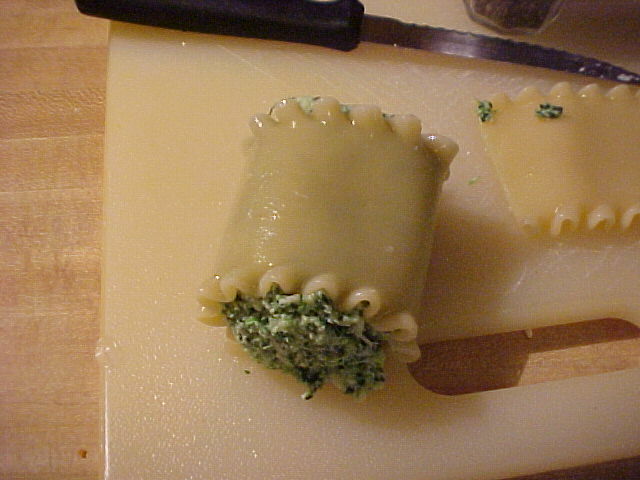 Place about 1/4 C. of spinach and cheese filling on one end of one of your noodle halves. Roll the filling up in the noodle. 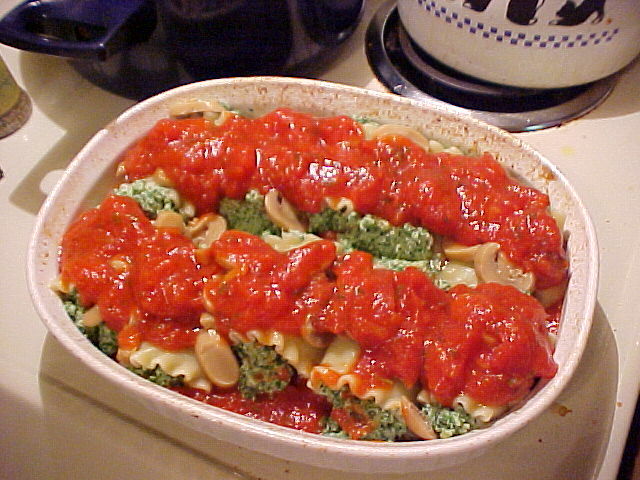 Arrange the rollups in the baking dish. 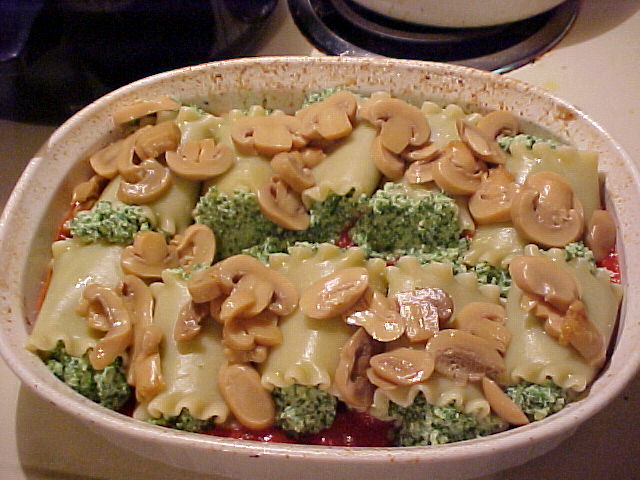 If desired, top the rollups with sliced mushrooms. Drizzle sauce over the rollups. 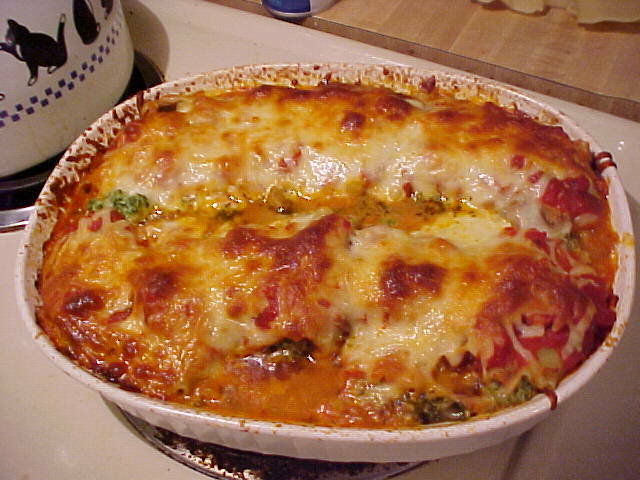 Sprinkle the remaining mozarella cheese on top and place the dish in the oven, uncovered for about 30 minutes. 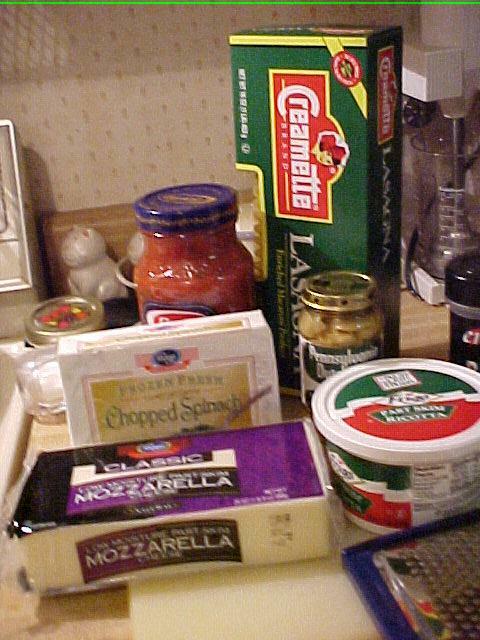 When it is done, the cheese should be browned and bubbly.